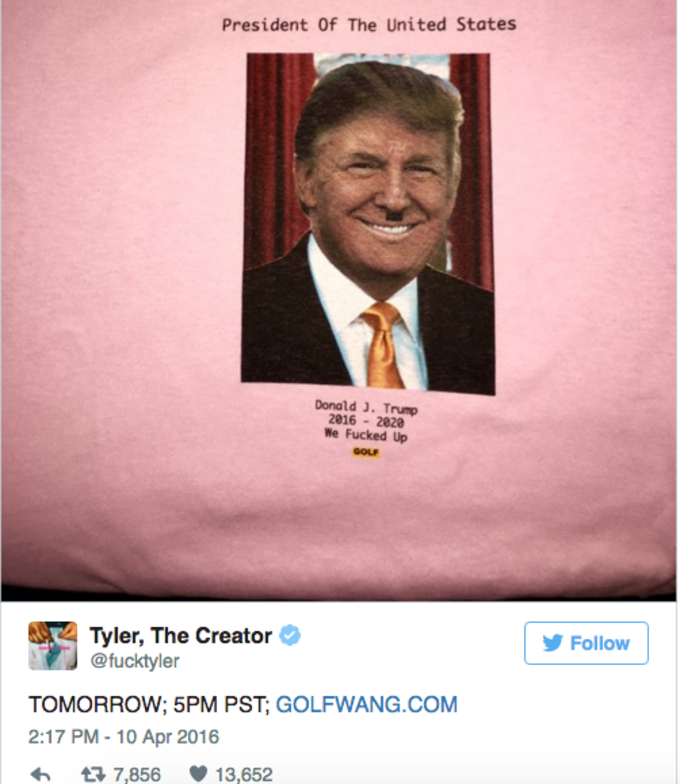 Tyler, the Creator is taking shots at Donald Trump with a new Golf Wang T-shirt. Yesterday on Instagram, the rapper turned designer teased the release of a tee mocking the republican candidate. 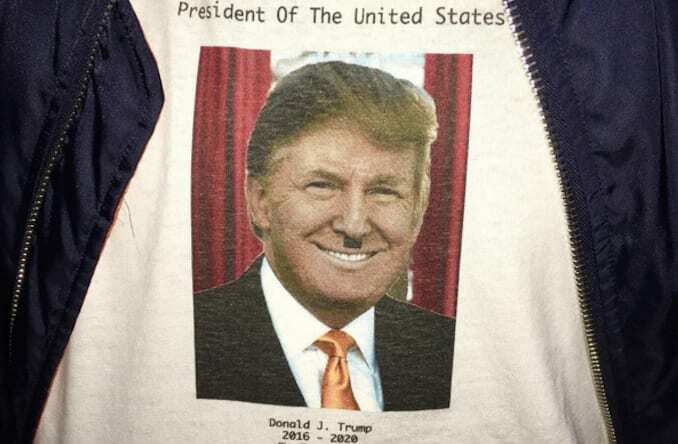 The shirt includes an image of the presidential hopeful with a Hitler-style mustache. Above his photo the text reads "President of the United States" and below it are the words "We Fucked Up" along with the years of his projected term. Of course this isn&apos;t the first time Tyler has used controversial graphics for his clothing line. In the past we&apos;ve seen him reappropriate graphics like a Neo-Nazi logo on his T-shirts. According to his social media posts, the T-shirt will be available on the Golf Wang website today at 5 p.m. PST.